MONROE – When Christopher Havens began serving a 25-year sentence on murder charges in 2011, he never thought he would find knowledge and enlightenment from behind prison walls. An altercation with another inmate placed Havens in restrictive housing for a year at Monroe Correctional Complex (MCC). Havens began playing Soduku to pass the time. Sudoku is a complex puzzle in which a player arranges numbers into a grid in which no numbers repeat in each individual row or column. The logic puzzles unlocked a thirst for knowledge in Havens. The 37-year-old immersed himself in more complex types of math. Number theory. History of math. Philosophy of math. "Before 2010, I was a drug addict with no ambition. No goals. No future," Havens said. "For the first time I experienced drive. I was at the beginning of a full-blown metamorphosis into a totally different person." 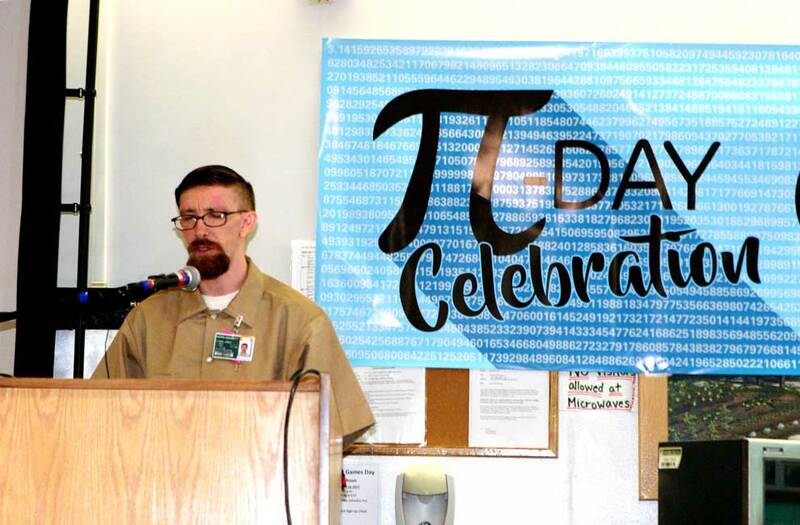 Havens recently shared his story during MCC's first-ever inmate-led "Pi Day" Celebration. Pi Day is March 14. The month and date, abbreviated 3-14, are also the first three digits of pi, the ratio of a circle's circumference to its diameter. 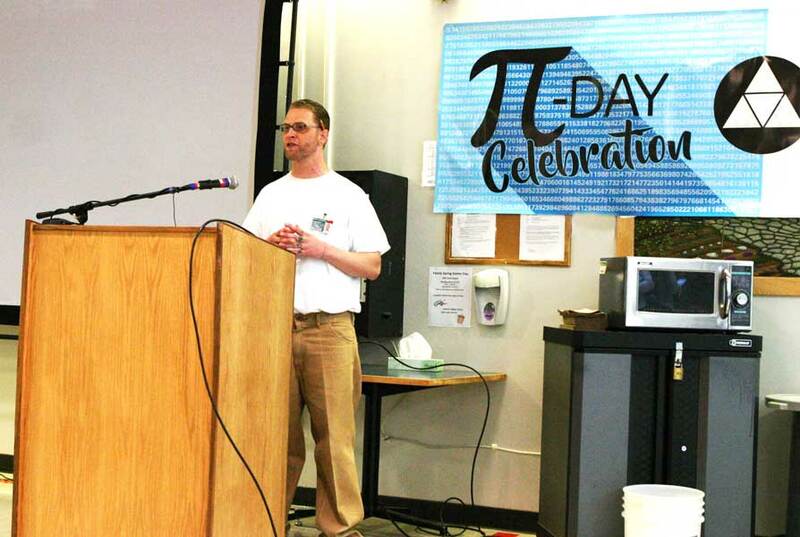 The event included a pi-digit memorization contest, a pi trivia contest, speeches by inmates, and presentations by mathematics professors from the Polytechnic University of Turin, Italy, Lafayette College, and University of Washington. The event was led by MCC's Prison Mathematics Project. The prison mathematics project is comprised of about 15 incarcerated men at the prison's Twin Rivers Unit who study math and use it to improve themselves. The event drew more than 75 inmates who cheered on their peers and about a dozen guests. Inmates in the Prison Mathematics Project study mathematical concepts and solve problems. They make presentations and speeches on their work. Many participants say the project enhances their critical and logistical thinking skills. It's also given them a boost in self-esteem. Havens is a founding member. "It's a means for inmates who are currently working on positive self-development to get together and further their resolve in making positive changes in themselves," Havens said. Havens' hopes to get his research published. A couple years ago, Havens came up with some original formulas related to continued fractions. He began sending them to Math Horizons, a magazine published by the Math Association of America. The magazine's editor learned of Havens' story and introduced him to a mathematics professor in Italy. Havens has been corresponding with the professor via mail in the hopes to get his formulas "proofed" and published in a nationally-recognized mathematics journal. He says math has given him a purpose for which he's thankful. "You should never set aside your dreams and goals and dismiss them as impossible just because you are institutionally challenged," Havens said. 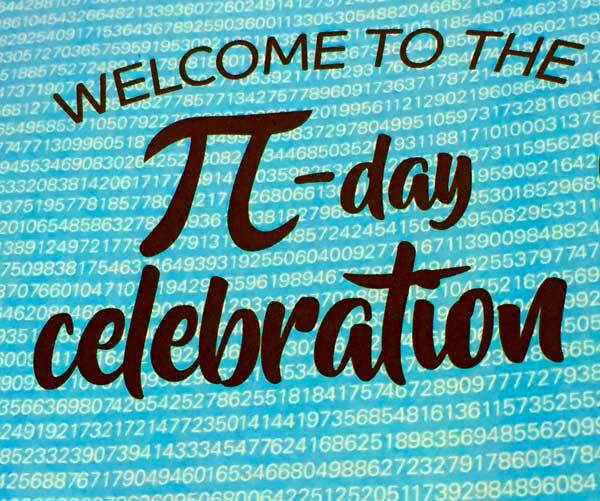 "Today is not just a day to celebrate pi, but mathematics as a whole and celebrate an opportunity we have to move our lives in a positive direction."